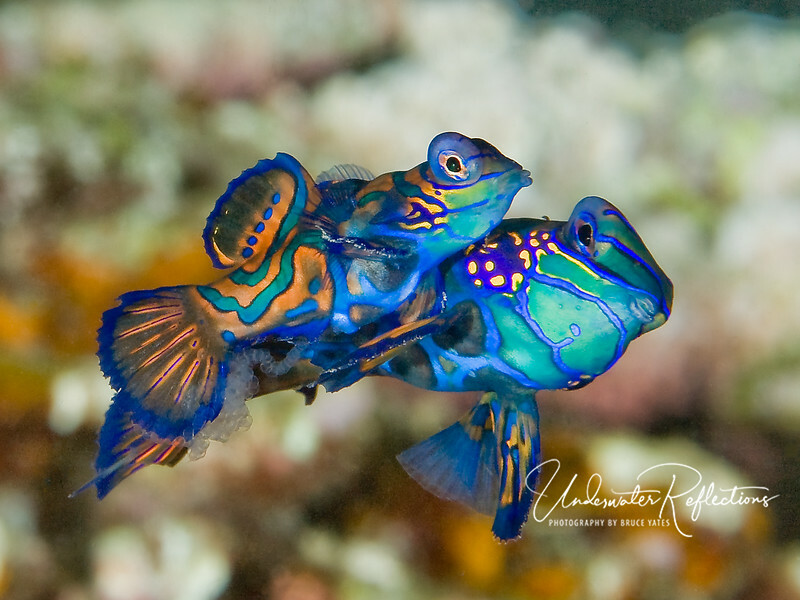 Mating mandarinfish (1-2 inches long) with eggs. THIS IS THE MOST UNIQUE PHOTO OF THE TRIP! Mandarinfish mate approx. 6 inches above the coral rubble in which they live. They do so only during a brief period at dusk, and the entire "act" takes only a few seconds, with the pair rising out of the rubble, releasing their respective eggs and sperm into the water together, and then both dashing back into the rubble below. This photo was taken (by luck) at the exact moment the female released her eggs into the water, and they are clearly visible.